A team of neonatal nurses has been helping premature babies bond with their parents by using a comforter designed to take on a mum or dad’s scent. The Miniboo was introduced at the special care baby unit of Royal Victoria Infirmary in Newcastle after sister Claire Ellerby observed how a comforter had a positive effect on parent and baby bonding. After gathering evidence through a literature search, she secured funding from charity Tiny Lives. ‘It has helped reduce parental stress, encourage bonding and attachment, and establish breastfeeding,’ she says. 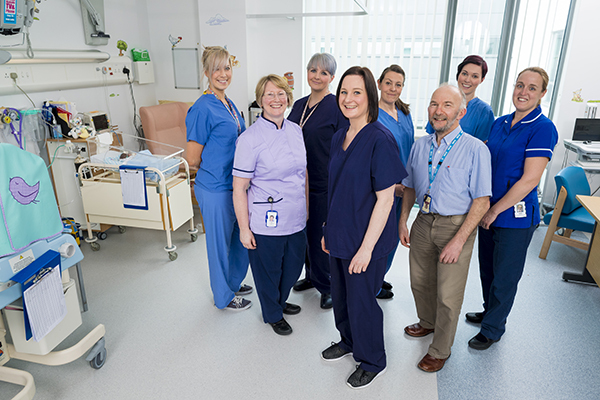 The initiative has led to the neonatal nursing team’s shortlisting in the Child Health category of the RCNi Nurse Awards 2016. The Miniboo comforter is made of bamboo to allow a soft texture suitable for parent and baby that readily absorbs parents’ scent. It is antibacterial, eco-friendly and biodegradable. Placing the Miniboo close to the baby offers reassurance and comfort when the parent is not there. Furthermore, mothers expressing breast milk found the scent of the baby provided by the comforter helped with production, especially at home. The comforters have been used to soothe babies who are going into foster care and also to support siblings when they are being cared for in different hospitals. They have also been used to comfort parents who have been bereaved. The initiative began in 2014 and was such a success that the unit now provides every family with two Miniboos on admission – one for the baby and one for the parents. Claire has developed a teaching package and information sheet for parents and local guidelines for staff. After the successful pilot, UNICEF visited the unit and now advocates the Miniboo initiative. Claire presented it as an innovation for future practice at the UNICEF 2015 conference.